Every now and then, usually on holidays, I like to pass along some of my favorite recipes. It’s not exactly on topic, but hey, we gotta eat don’t we? It’s fun and I promise not to get too carried away with it. Here’s a menu of my recipes for a backyard feast if you’re so inclined. I made all of these for friends recently and they went over extremely well. I wanted something tasty, backyard-party appropriate, but easy to do. 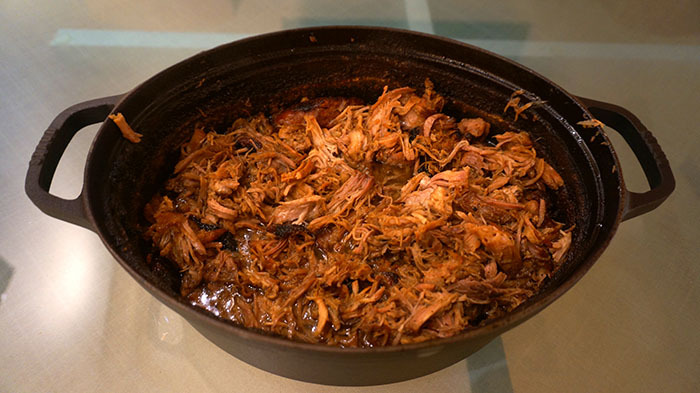 I didn’t have a lot of time to prep for my last event, and making pulled pork in a smoker can easily take 10 hours to get it as tender as you like. You can make this recipe in 4 hours, it falls off the bone and shreds easily, and everyone will rave about it the way my guests did! I love to make homemade BBQ Sauce, and I often make up more than 1 kind and do a taste off. Pulled Pork Sliders are perfect for it–just put your sauces on the side and let people try them. For this taste off, the two favorites were my friend Chef Michael Clark’s Easy Homemade BBQ Sauce and my own Honey Chipotle BBQ Sauce. We tested both against Aaron Franklin’s Espresso BBQ Sauce and they beat it by a mile. 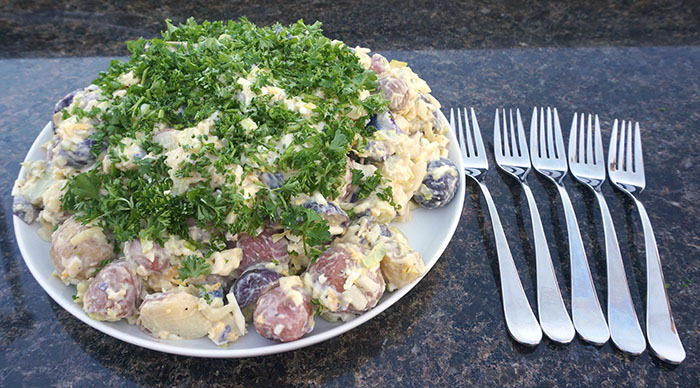 I love egg salad so this (another Chef Michael Clark) recipe really appealed to me. 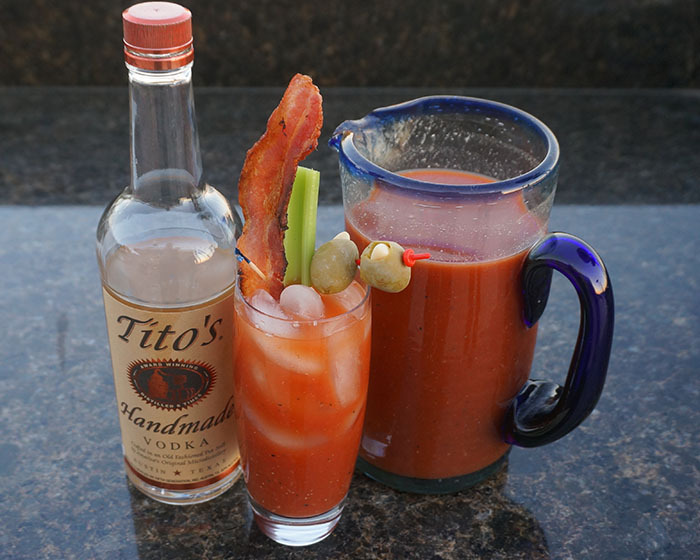 Why not a Bloody Mary for an appetizer, particularly at a pulled pork picnic? Everyone loved them! What to have for dessert after a big pulled pork dinner? Homemade ice cream or cobbler would be traditional, but I wanted something lighter. These cookies are perfect, and so easy to make! 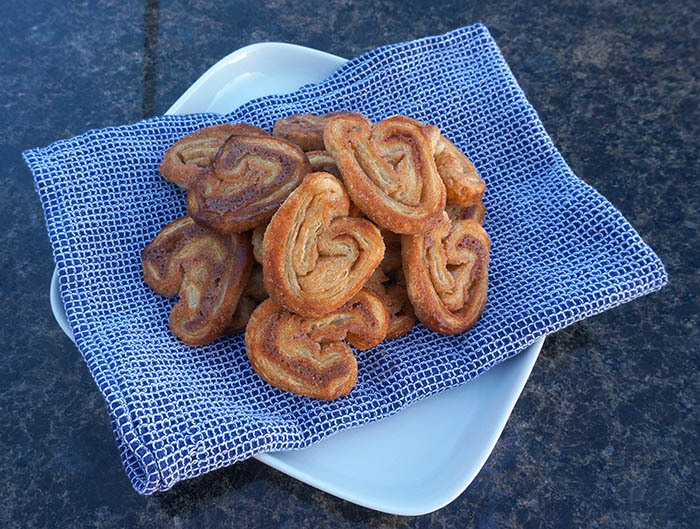 The French call them “Palmiers” and I know you’ve seen them in bakeries. I made some for Valentine’s Day too because they’re heart shaped. It takes all of about 15 minutes to make them, but don’t tell your guests! How Many Leads Are You Losing Due to Ad Blockers?